Travelling to the Philippines, visa guidelines. Planning for a trip to the Philippines for a holiday? You already did research on where to stay, what activities to do and what outfit to wear. Before you go book a flight to the Island nation of the Philippines, here are some useful information about the Philippine Visa and Passport requirements. For Nationals from countries listed below who are traveling to the Philippines for business and tourism, no visa is required for a stay not exceeding thirty (30) days. Travellers must hold a passport valid for a period of at least six (6) months beyond the saty in the Philippines, a valid ticket for return journey to the country of origin or the next destination country. *Brazilian and Israeli nationals are given fifty-nine (59) days stay based on existing agreements. Holders of Hong Kong Special Administrative (SAR) passports. Holders of Macau Special Administrative Region (SAR) passports. Holders of Hong Kong British passports. Application for a temporary visitor’s visa must be made in person. In the case of a minor under eighteen (18) years of age, the application may be made for him by a person who, in the opinion of the consular officer, is responsible for his/her welfare. The minor, not an infant in arms, shall be required to appear at the Consulate for interview, together with the person making the application for him/her. Applicants for temporary visitor’s visa should normally apply at the Philippine Embassy or Consulate that has jurisdiction over their place of residence. While some visa applicants may apply at any Philippine Embassy or Consulate abroad, others are only allowed to apply his/her visa at the Philippine Embassy or Consulate in his country of origin or legal residence. Children aged below 15 years travelling to the Philippines unaccompanied by a parent must comply with a Philippine requirement called a Waiver of Exclusion Ground (WEG). Payment of immigration fees (currently, P3,120 per child). For passport holders who are allowed visa-free entry for a stay of up to 30 days: a visa is required for a stay exceeding 30 days. Persons who were previously deported from the Philippines or included in the “blacklist order” of the Department of Foreign Affairs or Bureau of Immigration of the Philippines will not be allowed entry to the Philippines. In case of a temporary visitor’s visa holder whose stay in the Philippines will exceed the authorized period of stay, he/she will have to report to the Bureau of Immigration, secure an extension of stay and pay the corresponding immigration fees. Information on fees for extension of stay and other Immigration fees are available at the Bureau of Immigration website (www.immigration.gov.ph). Remember to run through the information above before travelling to the Philppines. More details at the Philippine Bureau of Immigration website. Enjoy your holiday and experience the Philippines! Xīn Nián Kuài Lè!  Gong xi fa cai ! Happy Chinese New Year 2018! 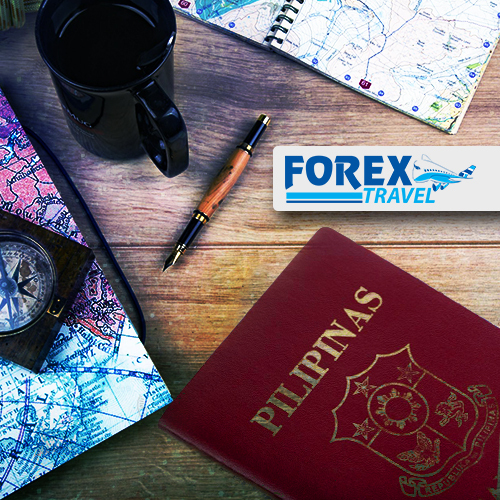 ForexTravel Australia – Places to visit in Iloilo! Book now!